This past weekend I got to take my Worship Ministry Leaders on a retreat up in the mountains. We asked the worship team from our daughter church to lead worship for our “peeps,” and they did a wonderful, amazing job! Thanks, Flipside Church! One of the things we did was reflect on where the Worship Ministry is at today. We were amazed at what God had done over the past few years: how the people in our ministry have grown musically, how our church is experiencing God more deeply in our corporate worship gatherings, and how God continues to bring in such wonderful people to our ministry. It resonated with the leadership because it confirmed a vision that we have been working on for two years: if we focused on ‘feeding the sheep’ by loving our people, encouraging their spiritual growth and providing a caring environment, then everything else will come together. For so long we had been working on execution, musicianship, and learning the newest sounds and styles. And while that helped us “sound” better, something was missing. And it was at another Worship Leader Retreat that God gave us the answer: don’t just become a better team of musicians, become a better family of Christ followers. And, amazingly enough, our music became better, too. It was richer, more meaningful. We sang more in tune because our hearts were more in tune. Instruments stopped clashing and insisting on being heard because we learned how to defer and complement in our relationships. It made me think about my leadership in ministry. For without love, even angelic sounding voices are nothing but noisy gongs. 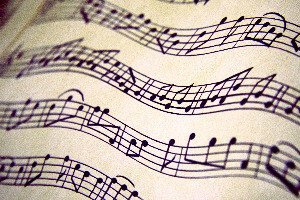 But the music of the hearts united in love for God and each other is the foundation of truly beautiful worship music. I know because I have the honor of seeing it and hearing it every week. How do your relationships affect your worship of God? What helps you to build relationships with the people you serve with in ministry? You are so on it. That is why I love being a part of the familys team!! !